Continue your style outside with some of our gorgeous garden furniture. Make a statement with a stunning outdoor dining set for those sunny days that you want to make the most of, perfect for getting the family around a table for a BBQ or for Al Fresco dining. Even items of eye-catching ornamental garden furniture are available. 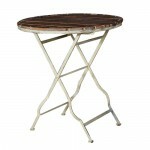 We are always sourcing new products so keep your eyes open for more lovely garden furniture.